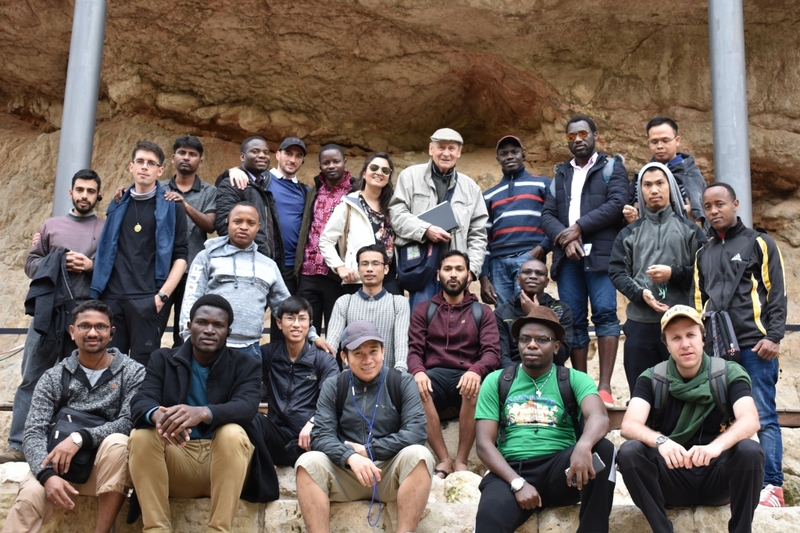 April 04 2019 - STS - Jerusalem During our first year of classes, the 1st-year students have Topographical Visits guided by Fr. Leopold Vonck, M.Afr. 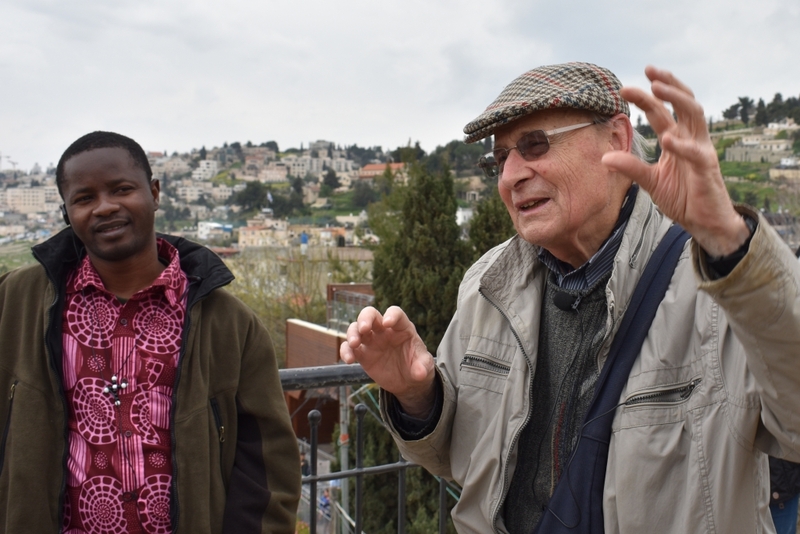 The last place we visited this year was the City of David, located outside the walls of today’s Old City. 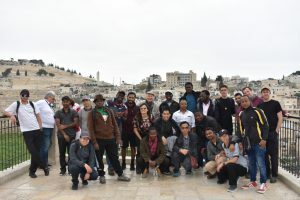 At 2:00 pm on 4th April 2019, 25 members of the first year together with gathered with our guide at the City of David’s gate. The state-of-the-art 3D Presentation was the first point we appreciated. There, the place was presented through the generations, from the times of the Bible until today. After that, we went up to the top of the building to see the wonderful view around the city. 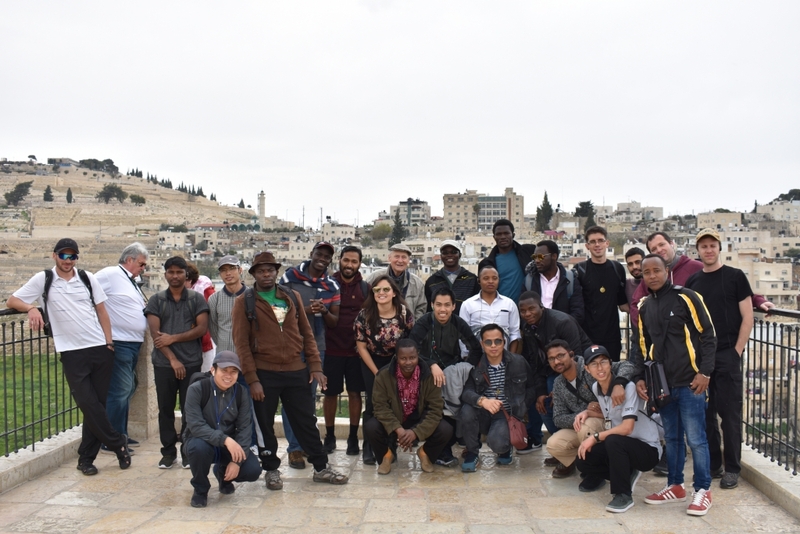 To continue our trip, we went to the remains of King David’s Palace. It is known as the “large stone structure” which was discovered beneath ruins from the Byzantine and the Second Temple periods. Specially, we were interested by the delicate patterns on the stones characteristic of that time. The third stage of our visit was the Royal Quarter, with the House of Ahiel and the “stepped stone structure”. These were destroyed together with the rest of Jerusalem in the Babylonian military attack. 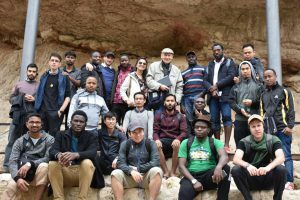 Definitely, the most exciting part of our journey was for us the experience of going through Hezekiah’s Tunnel. This channel led the water to the Shiloah (Siloam) pool. The length of it is approximately 533 meters and the height differential between the source of the spring and the end of the tunnel is a mere 30 centimeters. In some places it is about 1 meter. However, from a biblical point of view, the main highlight for us was Warren’s Shaft, because many historians believe that Solomon’s anointing and coronation as King of Israel occurred at this very place. 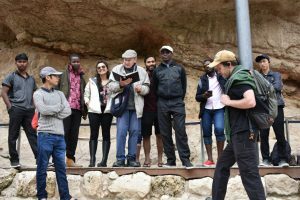 For those who did not want to go through Hezekiah’s Tunnel, another option was to go through the Canaanite Tunnel, which is a dry route about 400 meters. On this route one could explore the Canaanite pool and the Fortifications of the Spring House, the Gihon spring, the walls of ancient Jerusalem, the Weill excavation, and Meyuchas House. 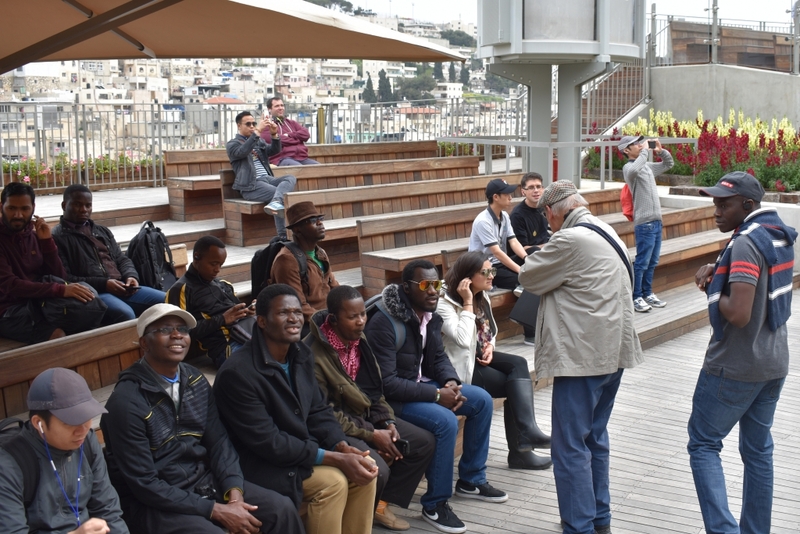 The final place visited was the Shiloah (Siloam) pool. This piscina commemorates the Christian tradition of the miracle of the healing of a blind man (John 9). After Fr. Vonck’s interpretation, the whole class took some time to thank God with a short prayer for the guidance of Fr. Vonck and the adventures of the topographical visits during the year.